Indian River County School District was the first in Florida to adopt propane autogas school buses. Immediately they found out that when running these buses they were reducing their environmental impact and creating a cleaner community. Find out more about their green experience and the other benefits they’ve enjoyed with propane here. Chicago based Go Airport Express started powering half of their fleet with propane in 2011. They found that with propane they can decrease their spending and operating costs and maintain a great price for their customers. The lower impact their green fleet has on the environment doesn’t hurt their reputation either. Their positive propane experience can be read here. 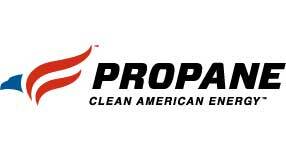 When Lake Michigan Mailers compared many alternative fuel options, propane came out the clear winner for their needs. They looked at cost of converting vehicles, total cost of ownership, fuel costs and range, and the cost of infrastructure; their research proved that propane would give the fastest return on investment. After just nine months of using propane, they estimated a cost savings of 12 cents per mile! Read here how they overcame increased gasoline prices by making the switch. The Propane Education and Research Council also offers informative testimonial videos from school districts seeing the benefits of operating propane autogas school buses TODAY. Find out more and watch these videos on PERC’s Website.